Chris Kreider was one of seven Rangers to score as the Rangers beat the San Jose Sharks 7-4 on Monday night. 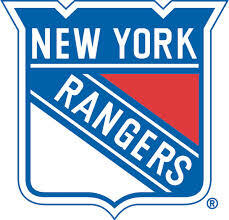 Marc Staal, Rick Nash, Kevin Hayes, rookie Jimmy Vesey, Mats Zuccarello and Michael Grabner found the back of the net and twelve Rangers finished with at least one point, led by Zuccarello, who recorded a goal and two assists. Tied 1-1 early in the second period, New York took the lead for good on Nash's first of the season 4:15 of the period. The sequence began when Rangers captain Ryan McDonagh's shot ricocheted off the end boards to Nash, who was in front of Martin Jones' net. Jones finished with 22 saves. The lead grew to 3-1 6:06 later when Kreider's off-wing drive ticked off Jones' stick and into the net. New York was 1 for 3 on the power play, and San Jose was 1 for 4. New York goaltender Antti Raanta made 26 saves on 30 shots.